*Each duration of speaker: 40 min. ILO-1 Mission for astronomy, other observations and communications from the Moon South Pole to be conducted by ILOA with support from spacecraft provider Moon Express of Florida, USA, primary instrument contractor Canadensys Aerospace of Ontario, Canada, National Astronomical Observatory of China, India Space Research Organization, and others. Global Principal Operating Partnership (POP) structures to share in the funding and operation of the observatory: Hawai`i, Silicon Valley, Canada, China, India, Southeast Asia, Japan, Europe, Africa, Chile, Brazil, Kansas and New York. Scientific and educational endorsements will enable fundraising for the mission. Southeast Asia POP to be a regional, collaborative construct of interested members: space, science, education, and government institutions from ASEAN nations, which as a whole could be capable of operating at parity with the 6 major spacefaring powers. This agreement is designed to draw together interested members from around Southeast Asia region into a cohesive group for effective participation and evolution into a full POP. 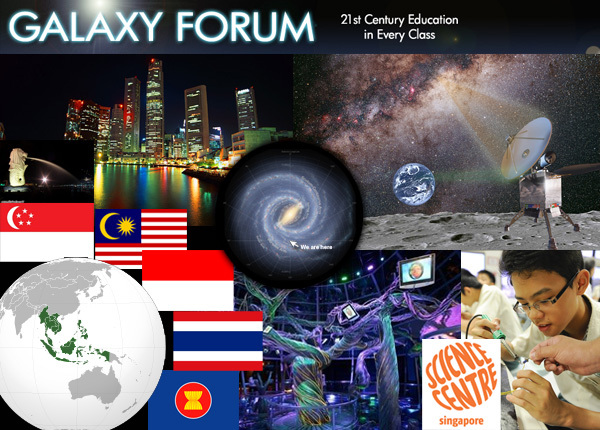 This 2nd Southeast Asia regional Galaxy Forum is being held in Singapore, a central dynamo of the intense diversity that is Southeast Asia. 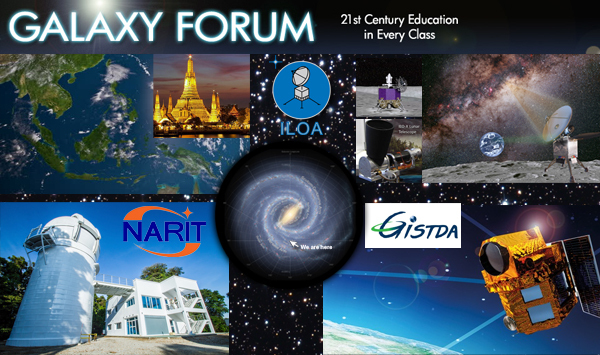 The event features expert presentations on the theme Galaxy Education, Exploration and Enterprise. 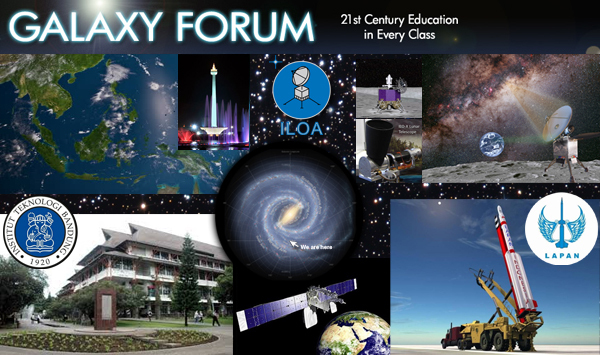 Participating organizations include: the Astronomy Department at the Institute of Technology in Bandung, Indonesia; the National Astronomical Research Institute of Thailand; the Space Technology Institute of the Vietnam Academy of Science and Technology; Madrasah Al-Irsyad Al-Islamiah, an innovative and modern school within the iconic Singapore Islamic Hub; the Malaysia National Space Agency (ANGKASA) Division of Space Science Education; the Singapore Space and Technology Association; National University of Singapore; and The Astronomy Society of Singapore. 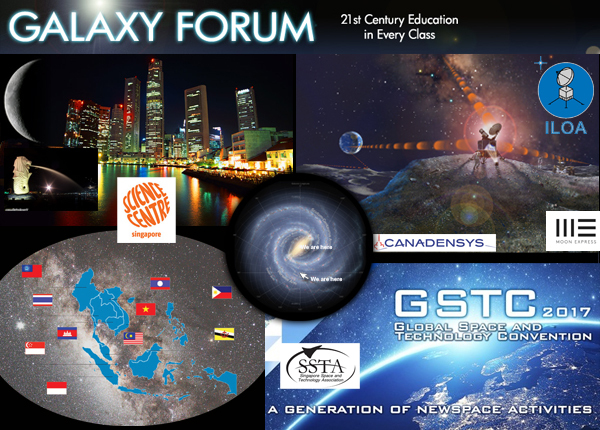 Galaxy Map 2014 will debut for Southeast Asia as an innovative global resource representing the next dimension beyond maps of the World and Solar System. 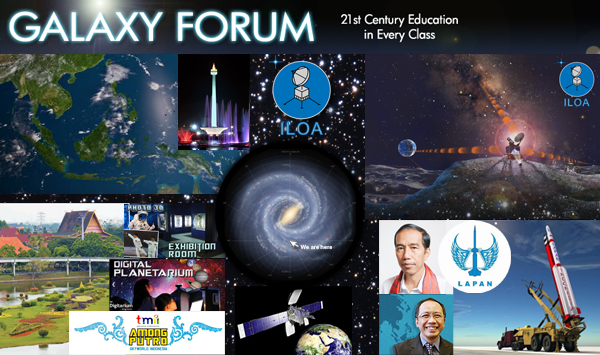 The map, intended primarily for classroom use, features a full color Milky Way Galaxy schematic developed from the latest research, helpful statistical / reference tables, and enlightening cultural perspectives from around the world. 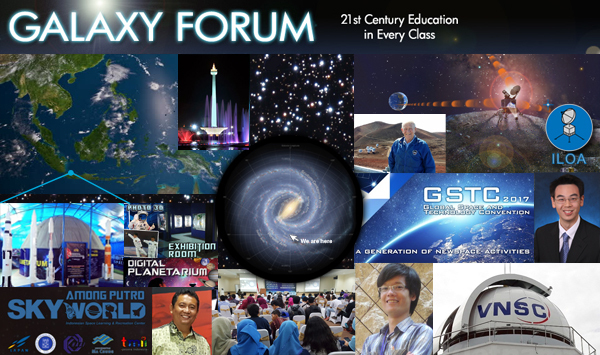 Join us at Galaxy Forum Southeast Asia 2014 and receive a free print for your school. 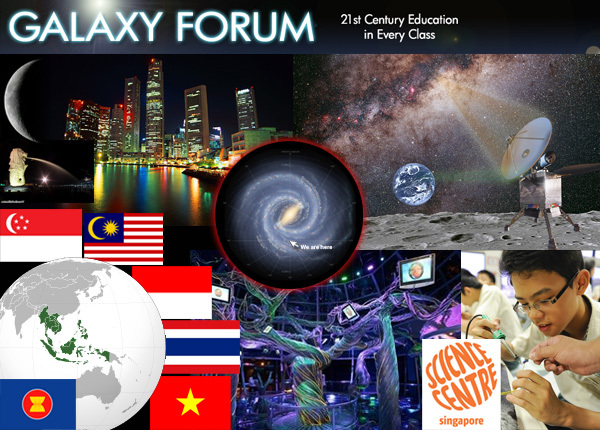 Dr. Abel Yang, National University of Singapore: Why Study Astronomy?